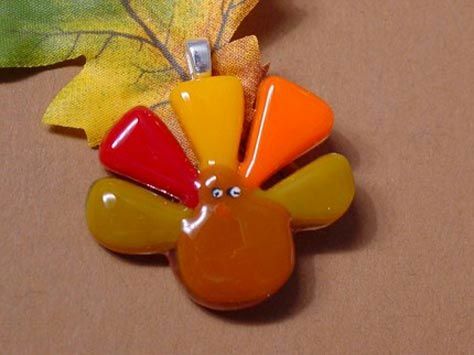 If you think about it, every holiday has some kind of jewelry affiliated with it. But St. Patrick’s Day has a closer connection than most. Why? 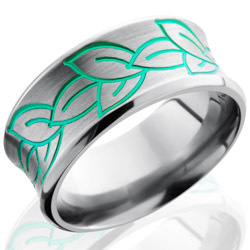 Because jewelry associated with luck (aka “good luck charms”) represents one of the key themes of St. Patrick’s Day: luck. And luck is big with the Irish They have a long list of charms, superstitions and omens to make you lucky or keep bad luck at bay. Here are a few fun St. Patty’s Day superstitions to keep in mind, the next time you plan on bringing a banana onboard a boat! Here’s a few we found at TheGoodStuff.com. We all know it’s bad luck when a black cat crosses your path. But fortunately, the Irish have found a way to ward it off. Make a triangle with your thumbs and pointer fingers and spit (in the general direction) of the cat. FYI we don’t condone spitting at cats. If a hen and her chicks want to enter your house, by all means let them in! They bring good luck. If it’s a rooster, set the table, company is on its way. Never gift a knife, it will sever your friendship. In fact, don’t even hand someone a knife (not even to cut your corned beef), it will bring bad luck. Instead if someone asks for a knife, place it on the table near them and let them pick it up. Feeling sick from all that corned beef and cabbage? Well the Irish say tie a bunch of mint sprigs around your wrist to cure an upset stomach. If you come across a horseshoe, nail it to the door. And don’t even think about buying one or using a gifted horseshoe, it must be found spontaneously! Lucky enough to find a four-leaf clover? Congratulations! You’re in for some good luck gambling and racing. Furthermore, witchcraft has no power for you! But keep it to yourself. The luck only lasts so long as you don’t show anyone your clover. Never ask a man where he is going fishing. Just don’t. Never change a boat’s name and don’t bring a banana on board (not necessarily an Irish superstition, but very good to know nonetheless). Fishermen are an especially superstitious lot and some may go so far as to turn the boat around and drop you and your contraband fruit off on the dock. Best of luck to you this St. Patrick’s Day! ! ! 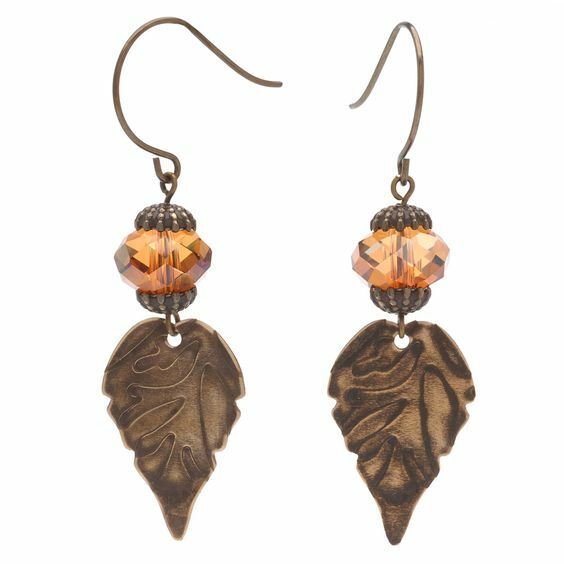 We just love these earrings! 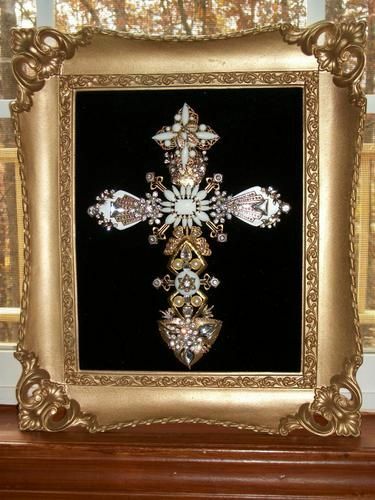 They absolutely epitomize femininity and dazzle. 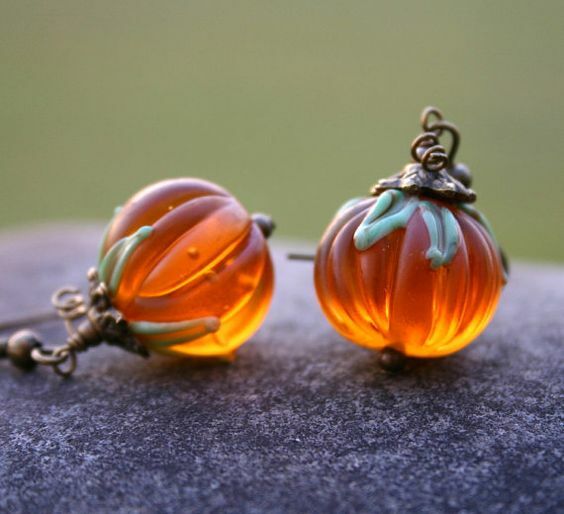 Seriously, what woman wouldn’t be completely captivated by these earrings? Tourmaline is classified as a semi-precious stone and comes in a wide variety of colors. It’s believed that no two tourmaline stones have the exact same color and it’s historically revered as a “magic” stone that is capable of protecting whoever wore it. Although it might be a stretch to say tourmaline has supernatural powers, it does have the uncommon and very special ability to generate an electric charge and emit negative ions and far infrared rays. 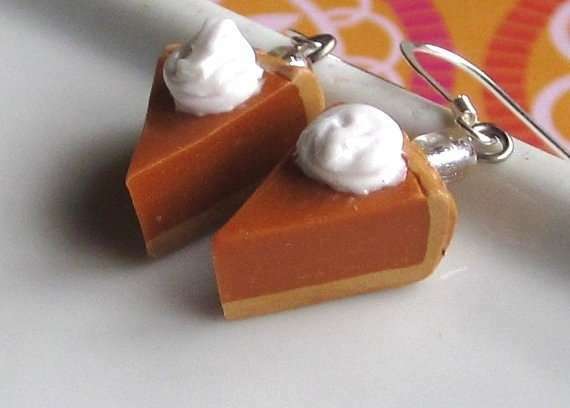 Thanksgiving Jewelry – Kitsch or Cute? 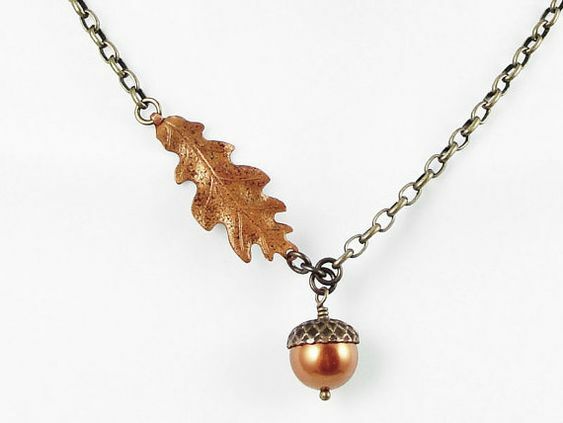 What holiday doesn’t have jewelry to celebrate its honor? Seriously. 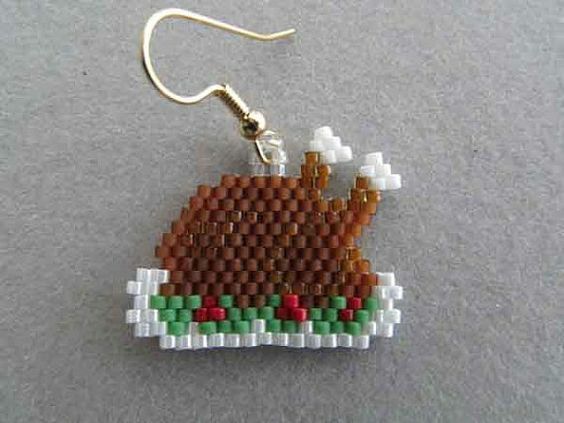 Google the most obscure holiday and undoubtedly there is some beaded and bejeweled something that you can wear to celebrate. 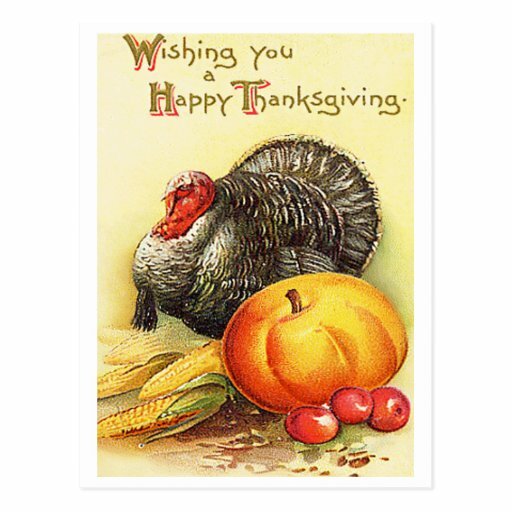 Of course, Thanksgiving is no different. Now you decide: would you wear any of the following pieces? Or would you pass, just like that bowl of mashed turnips? We love Pinterest. 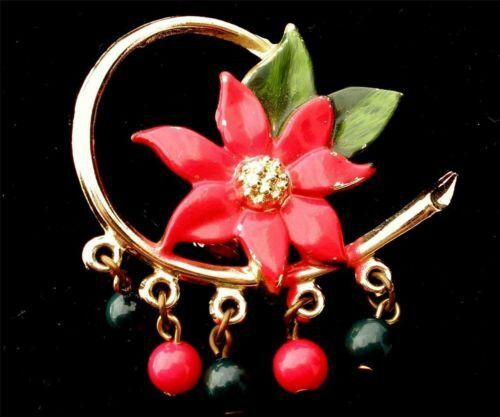 Nowhere else can you find such a wide collection of amazing jewelry images, especially holiday-inspired jewelry. 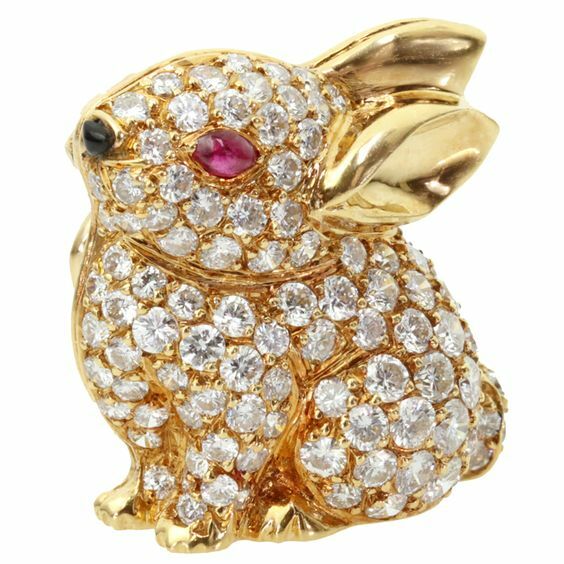 Easter jewelry tends to consist of a lot of bunny rabbits. Which we completely love. Here’s just a few Easter-related pieces that inspired the Spring in our step this week! 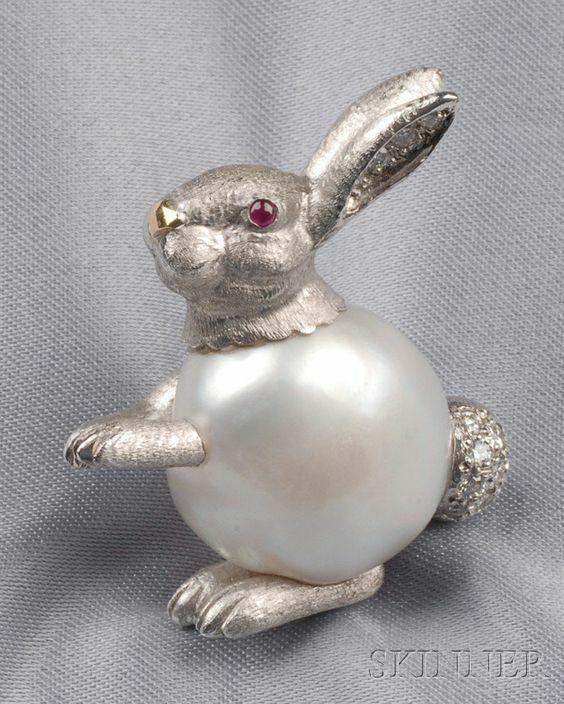 Art Deco Rabbit Brooch by Raymond Yard, Circa 1920’s. Who else wants this fella at their next dinner party?! 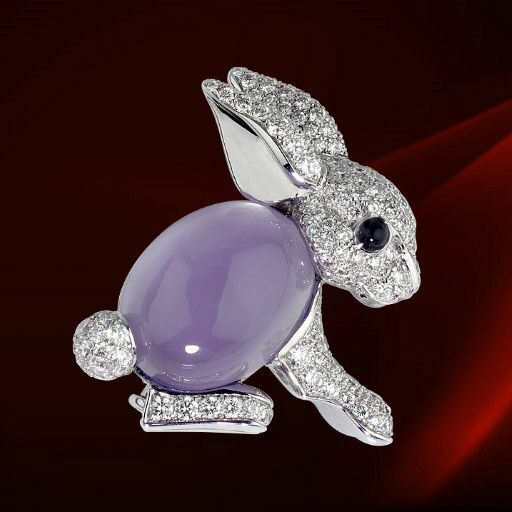 A stunning estate brooch is from the Animal collection by Van Cleef & Arpels. 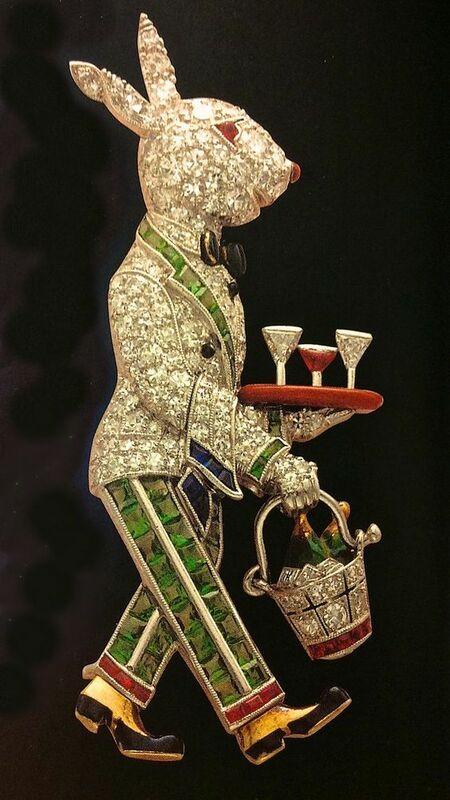 Cartier Rabbit Brooch. 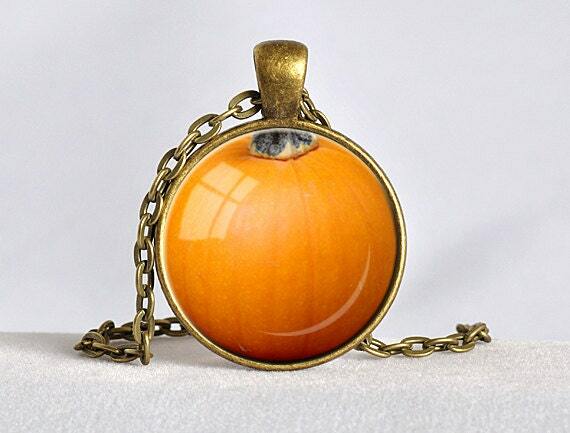 White gold, diamonds, chalcedony, onyx. 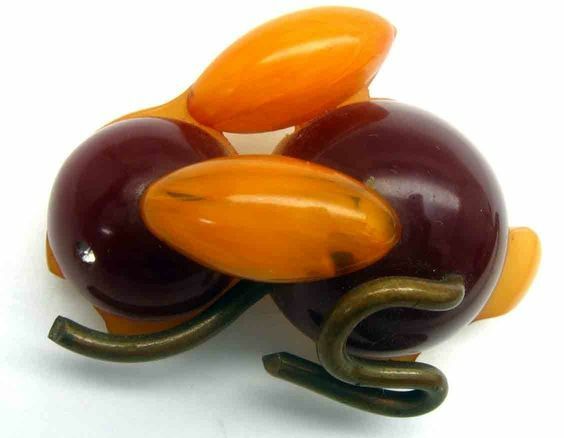 RARE and Unique Butterscotch Bakelite Bunny Rabbit Pin 1930s. 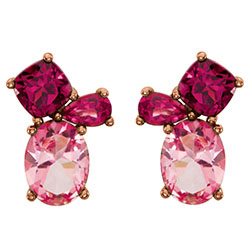 We’re just crazy about stud earrings at our studio. The reason is simple: it makes the perfect holiday gift. ▪ Studs are flattering to face shape. ▪ Studs are comfortable and easy to wear. ▪ Studs are classic. They never go out of style. ▪ Studs are personal. A lot of love from a dazzling little package. ▪ Studs are versatile. They go from casual to formal with ease. So if you’re still undecided, trust us on this one: studs are the gift of choice. Get your order in soon and we can get it to your loved on in the nick of time! And boy, won’t see be pleased! 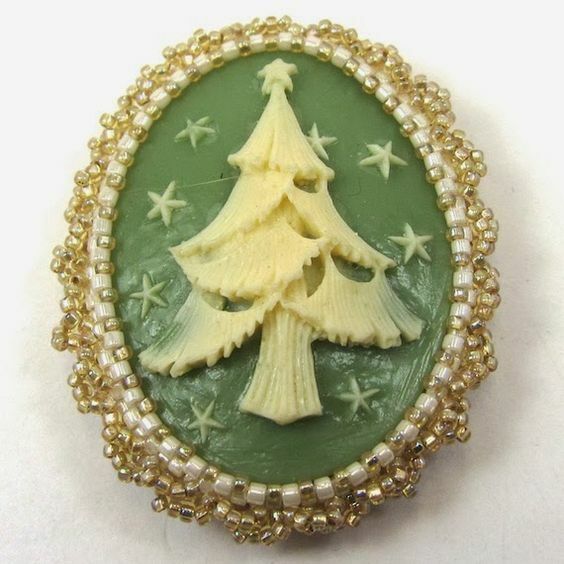 There’s a good chance you have vintage holiday ornaments for your Christmas tree. 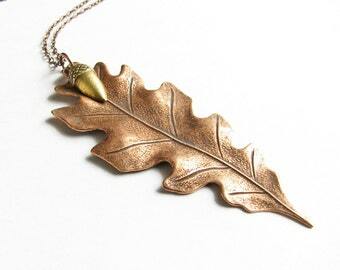 But being in our industry, we like to hearken back to decorations of the wearable variety. 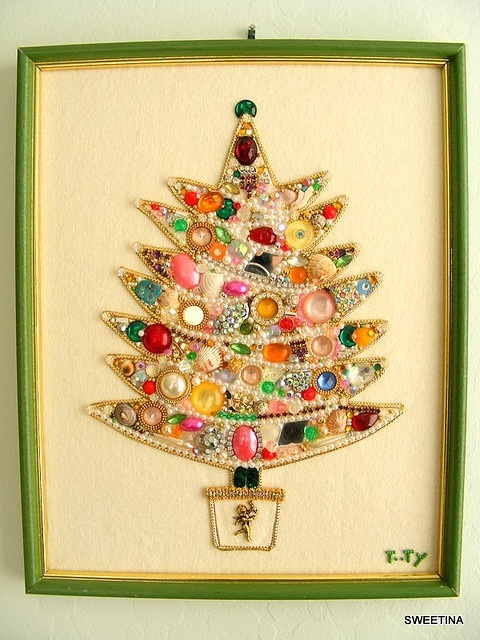 Let’s take a little stroll down memory lane and check out jewelry from holidays of yore, shall we? Put on your coat and mittens. In all of years in business, we’ve yet to meet a woman who doesn’t like pearls. 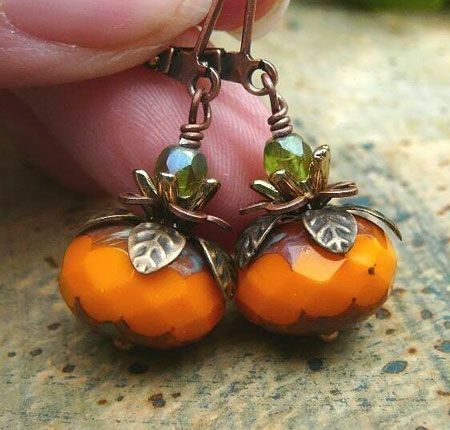 They’re often preferred over diamonds! Pearls are a classic fashion statement that go with just about any outfit. 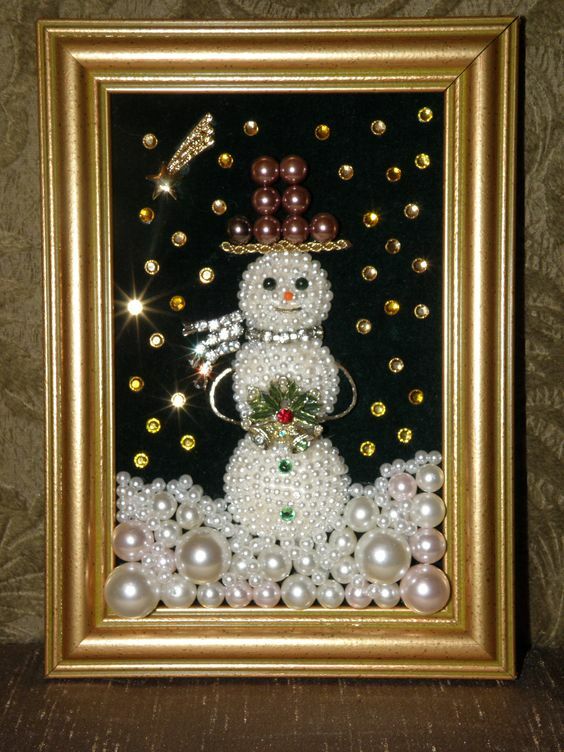 And our freshwater cultured pearls come in distinctively fun colors that make your holiday gift unique and special. Stop fussing about online or dealing with department stores. We just decided for you–and you’ll be grateful. Because we know that this simple (and infinitely affordable) gift just checked one lucky person off your list. 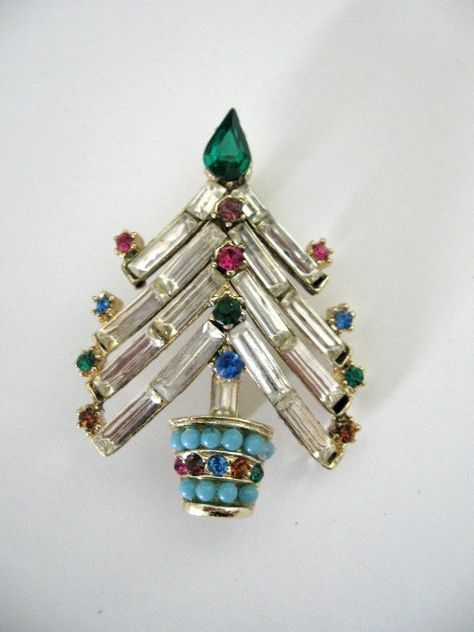 Tinsel was popular in this form for centuries, with a slight break in manufacturing during World W​ar I because of disruptions to the manufacturing chain. But it didn’t last. Lead, as you ma​y recall, has toxic effec​ts on the human body, from our nervous systems to our gastrointestinal tracts. These effects had been known for a long time, but the US didn’t start enforcing regulations on how much lead could be in commercial products until the 197​0s (lead-based paint was the first to be banned in 1971). 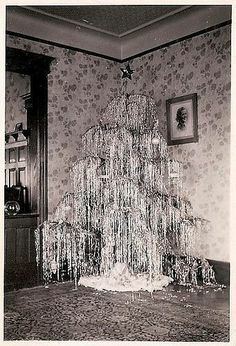 In 1972 the US Food and Drug Administration an​nounced that tinsel made of lead could no longer be sold to consumers. These days, the tinsel you know (and are kind of annoyed with) is made of a synthetic compound called polyvinylchloride, or PVC, with a shiny finish. It’s cheap and durable, used in products ranging from thick housi​ng pipes to reco​rds and fake leather clothes. Some less-flexible types of PVC are recyclable, but those handfuls of sparkly plastic that you throw willy-nilly at your tree are not. 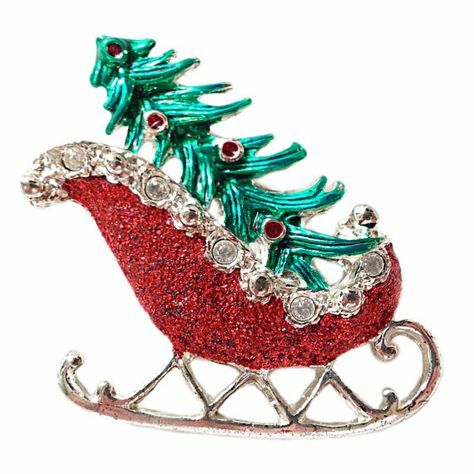 Much like the Christmas spirit, tinsel ne​ver dies; instead it sits at the bottom of a landfill with the rest of your holiday glee. 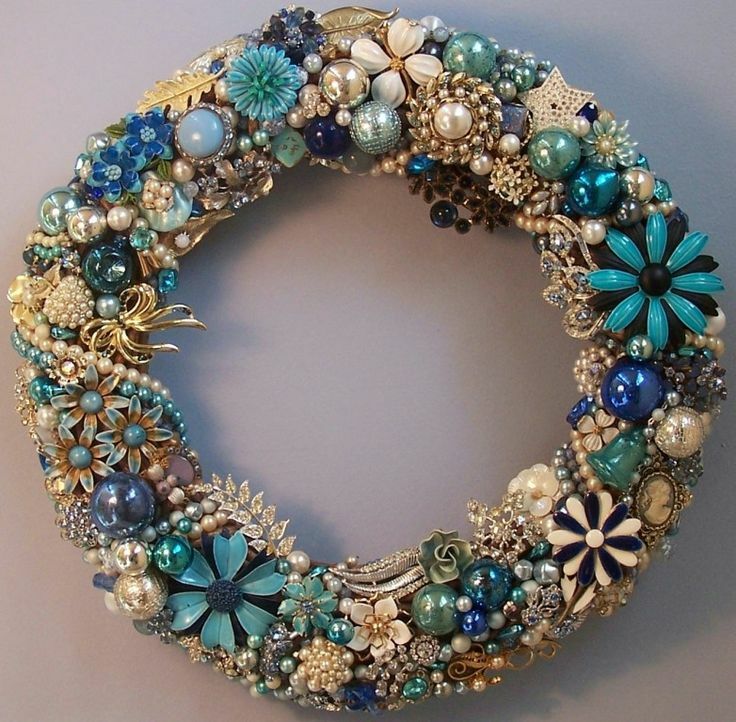 Digging around on Pinterest this early a.m., I found a bevvy of fun, nostalgic holiday jewelry tress and wreaths to remind you of Christmases past. My mom & sister and I made one of these when I was a kid! 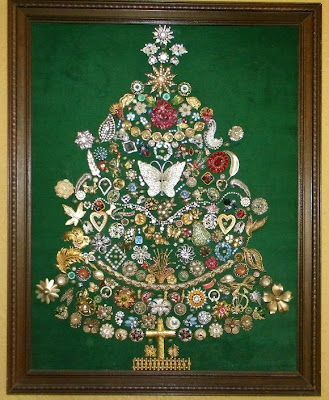 It was so fun scouring garage sales in the summer looking for old jewelry and then making the tree together – my dad even drilled holes in ours and put a string of lights on it. 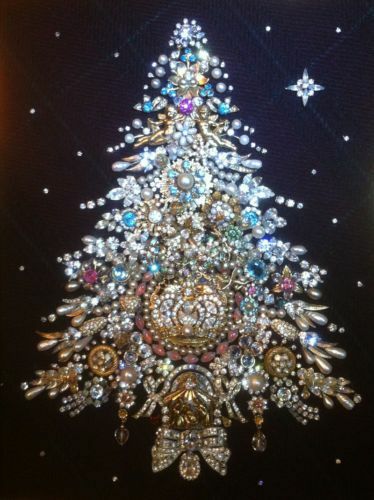 Okay, holiday jewelry can be…well, tacky. But there’s a certain fun to it as well: as if we’re allowed to shelf good taste for a few months and just relish in the kid-like kitsch of it all. 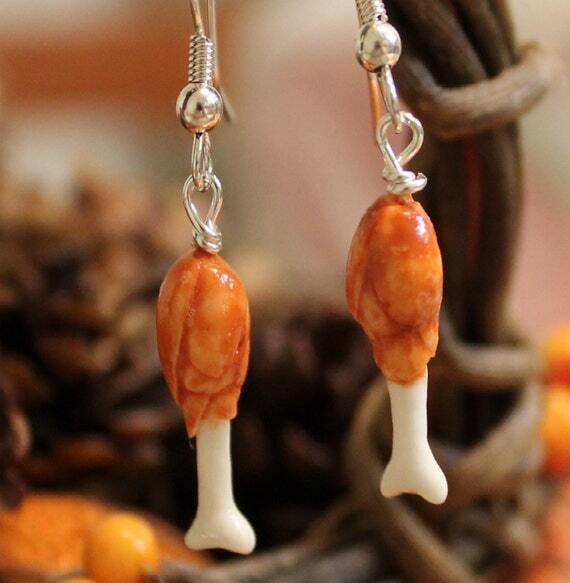 So here’s some Thanksgiving jewelry pieces we spotted around the Net to get you in the mood. 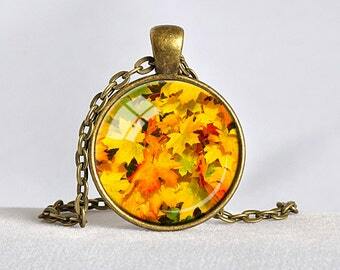 Fall leaves pendant on Etsy.